At the movies: Transformers: Dark of the Moon. Me vs Michael Bay's robot opus, mkIII. There was a time, if you can believe it, when I thought Transformers were the coolest things imaginable. With the possible exception of Jim Henson and Grace Jones. Henson's memory remains sacred, and after Jones' Hurricane tour, I fear not for her, because she still has everything that made her awesome, with the exquisite addition of Eiko Ishioka outfits. But The Transformers, not so much. 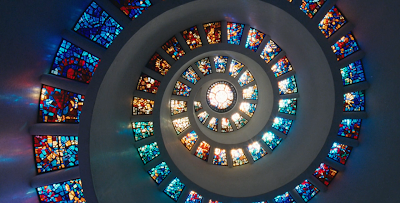 At the movies: The Tree of Life. 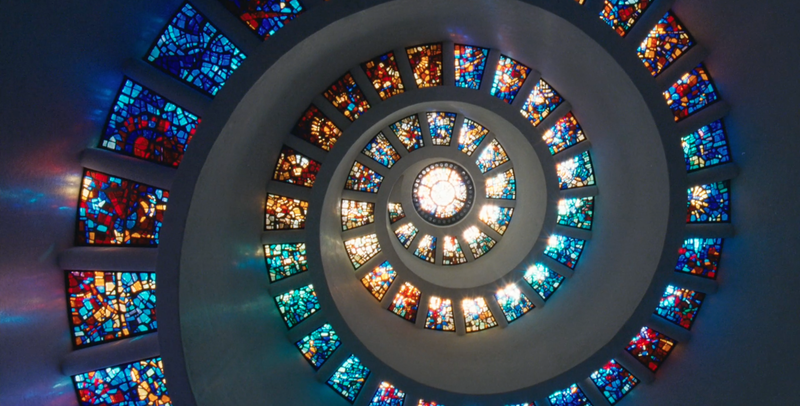 So the latest Terrence Malick film had finally made its way to Nastyville. Here is my perfectly respectable review of it for The Tennessean. Now for comparison's sake, here's my Metromix review, which is- at best, unhinged. This wasn't a case of me submitting this piece and the Tennessean version being edited out of it, but rather my submitting two different reviews for each of the publications. I wanted to try and encompass all the feelings the film posed, while at the same time remaining nimble and diffuse in making any specific grand statements. I can't decide if this take on the film is genuinely reflective or if it veers into gibberish. Let me know your thoughts on this one. At the movies: Super 8. The Lamb family is reeling from the tragic death of steelworker/mother Elizabeth, leaving son Joe and Sheriff's Deputy Jack (Kyle "Coach from Friday Night Lights" Chandler) to figure out a whole new way of life without her. Lillian, Ohio's smalltown charms keep the Deputy occupied, but never with anything too terribly serious. Yet the two Lambs are growing farther apart, with young Joe throwing himself into making a Super 8 zombie film with a bunch of his friends. It's a concept that resonates in the work of this film's executive producer Steven Spielberg, and one that finds commonality in the dreams of countless kids who've wanted to use the movies to tell big stories of their own. These are an interesting bunch of kids, and we get to know each of them, getting a feel for their different backgrounds and attitudes, but understanding how the urge to make something awesome has tied them together. Special praise is due Charles, the director and writer of the film the kids are making, played by newcomer Riley Griffiths; his is the best fat kid character in a movie since Brett Kelly in Bad Santa. And Elle Fanning, who stole the uneven Somewhere away from Stephen Dorff just last year, is remarkable here. She has a rehearsal scene that hits with a power you wouldn't expect (very Naomi Watts in Mulholland Drive); there's an electric quality to how she taps into emotions, finding the perfect mesh of precision and passion. Also, Glynn Turman makes a visceral impression as the school biology teacher, who here more than karmically atones for his character's actions in 1984's Gremlins, just one of the many subtle in-jokes for fans of classic critter cinema. Super 8 is determinedly Spielbergian, but that's sort of the point. It's been marketing itself with a great trailer that incorporates all the tropes of Spielberg's 80s work, utilizing its kids' ensemble and mysterious SciFi whatsit in a way that practically promises you "E.T., but with a scarier alien." There is raw emotional pain at the center of this film, dealing with serious issues and deeply felt family conflicts, and it's in that aspect that the film is truest to its late 70s/early 80s Spielberg influences. What's funny is that the Spielberg production that is more accurately comparable to this film is The Goonies. The way it ties family troubles into adventure and peril will resonate with any child of 70s or 80s film, and writer/director/producer J.J. Abrams, at his best, aims to create a work that gives kids today some significant emotional commonality with previous generations. And that's admirable. If it never quite reaches the greatness of its aims, I'm still inclined to show it some love.The opening scene does an exceptional job of saying volumes without saying a word, like one of those Truman Capote sentences that are concise, yet hold forth much meaning. A sign is the signifier for the Lamb family, one that sets up much of the engine that drives the film. Abrams juggles so many different elements and exceptional moments for so long that it feels like he could conceivably go the distance and knock one out of the park. That is, until a three-minute chunk of the film combines some unfortunately-timed anthropomorphism, a gloppy ton of sentimentality, and a literalization of the film's primary theme that threatens to derail things completely. Things have been going so well for so long it's hard to get too mad, but it really means the difference between a fun popcorn epic and a new classic of across-the-board storytelling. One thing that Abrams does, making his own definitive statement about the social history of the U.S. since the late 70s/early 80s, is gleefully destroy suburbia on both figurative and literal levels. Spielberg's films found comfort in the small communities whose families had fled the city, and Abrams takes some insane joy in allowing late-70s suburban life to be destroyed by the military industrial complex and the boiling anger that its ideologies instilled. If its alien isn't up to Cloverfield standard (say what you will about that uneven effort, but it had an exquisite monster) or to H.R. Giger's monsterpiece, it tries for mystery and menace for a good 90% of its runtime, which is certainly the way to do it. 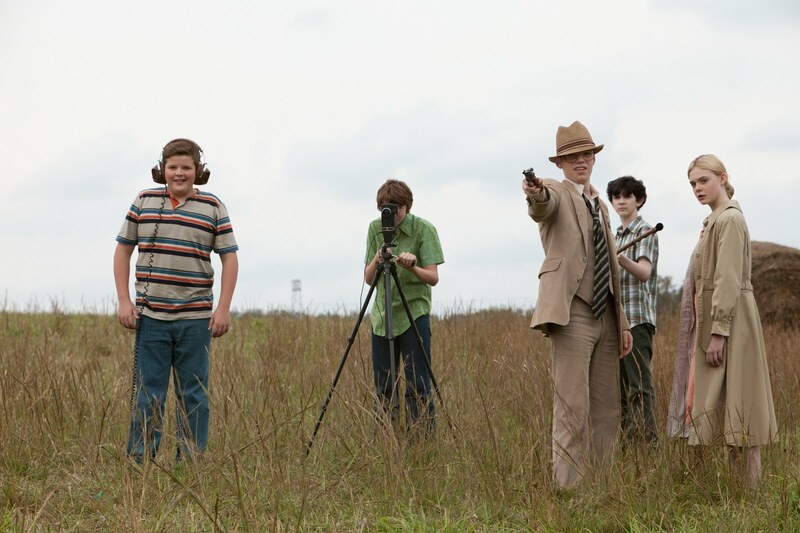 Super 8 has ambition and style, and several great young adult performances. I wonder what works it will inspire from future generations? A note for the prospective viewer. Something happens during the ending credits that makes everything pull together with a majesty that is incredibly heartening. Don't be in such a rush to leave, and let your theatre know not to bring up the lights too soon. 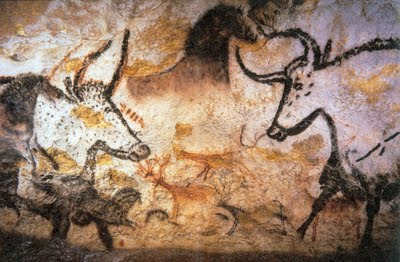 At the Movies: Cave of Forgotten Dreams 3D. Ideally, the movie I'd most like to see in 3D is something like Werckmeister Harmonies. Long takes, sustained tracking shots, not much cutting at all, immersive spaces. Well, Werner Herzog once again leaps ahead of the curve, using 3D technology to map out one of the most fascinating secrets in the world, the Chauvet Cave in France, where undisturbed wall drawings dating back tens of thousands of years represent the first human artistic endeavors still preserved. 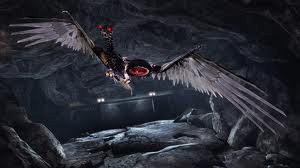 Unlike the majority of 3D films currently in theatres, Cave of Forgotten Dreams finds actual physical space way more fascinating than computer-generated vistas or effects sequences (and that's not a slight on 3D tech- I enjoy the added dimension when it's done well). There are moments, drifting along in these deep, enclosed spaces, that one can't help but feel something more than real. It's rare that history can be this visceral without wars or some form of betrayal involved (doesn't that sadly sound like modern life as well), and Herzog, with his magnificent voice, takes us through a meditative look at the human artistic impulse. Calling this the best use of 3D film technology so far is limiting- Herzog certainly understands the mechanics of how the eye works, using langurous fades rather than abrupt cuts, allowing depth to resolve itself on the viewer's terms. But it seems to me that 3D is best when it comes to realness; I love being immersed in something actual (part of this, I'm sure, springs from my 'puppets>computers' aesthetic). And with all the alien worlds and fntasy spaces that steroptic film presentation has tried to bring us to, I've never been as transported as I was by this film, to a secure little portal into the past. Also, the fact that 3D film options can include something like this is very encouraging (especially for local audiences). Take a chance and timeslip back into your own genetic history, won't you?